I'm here to review products and chew gum and I'm all out of gum. This is my go to moisturizer nowadays and I can definitely tell a difference when I skip using it for a few days. It's on the heavier side so it's more suitable for a night time routine but it very hydrating and soothing. I bought this on a whim to replace my usual foaming cleanser and it's fantastic. It foams nicely, removes my oil cleanser and any remaining makeup with ease and leaves my skin soft and clean instead of dry. Plus a little goes a long way. A pea sized dollop is enough for my whole face. Honestly this is a great deep conditioner that really did live up to all the claims it made and it did treat my colored hair very nicely. I didn't notice any fading and it left my hair soft and way easier to detangled. I wasn't super impressed with this one. I didn't find it very moisturizing at all and the mist is so fine that I felt like I had to spray a ton half an inch from my face to even get some product on my skin. The mask is nice and easy to use but the design does make it impossible to get into certain places on your face like the creases of your nose which is a shame because that's where I could really use some detoxing. I prefer this over the shampoo to be honest. Feels moisturizing and really seems to help in detangling my thick and unruly hair after a shower. Like the shampoo, I find this good for hair but not really great for your scalp if you have dryness in that area. Disclosure: I received this for free from a voxbox in exchange for a review. This is great stuff. It lathers well without stripping my hair and feels very moisturizing. I will say that I find this particular scent somewhat odd but it doesn't linger. Also despite moisturizing, it doesn't seem to help with dry scalp so you may need to factor that in. Y'all. 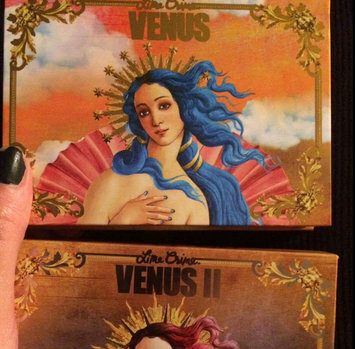 This palette is beautiful and originally I was kind of iffy about it because the colors seemed kind of off and like you'd have to dip into other palettes to make a full eye look but now I actually like this one more than the Venus I. As sketchy as Limecrime is, the eyeshadow formula is great. 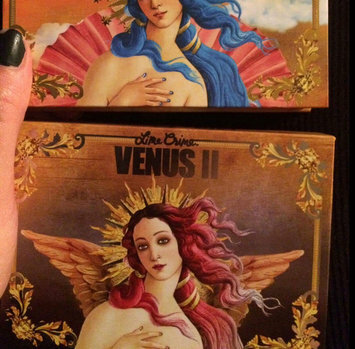 Okay so I know that Limecrime is a sketchy company with super slow shipping but this palette is fantastic. The colors are beautiful, the formula is great and the shadows blend so well and yeah, have you seen how gorgeous the packaging is? Highly recommend.